A Derby Shoe is probably one of the most versatile and elegant looking Dress Shoes. 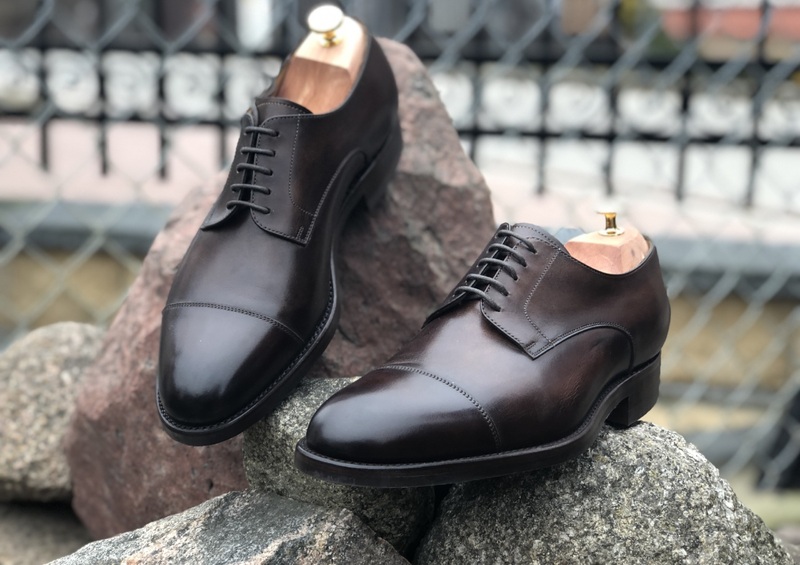 Especially if it is made by Portuguese master shoemaker Carlos Santos. Today’s Review is all about the Carlos Santos 9381 Cap-Toe Derby Shoe on the 234 Last and Coimbra Patina. After falling in love with their Lace-Up Boots, I had high expectations for these as well. I am proud to report that once more, Carlos Santos delivers a fantastic quality product that will last for years to come. I remember putting them on for the first time and walking in the streets of Warsaw. It was an exhilarating experience of comfort and luxury that I want you to feel as well. 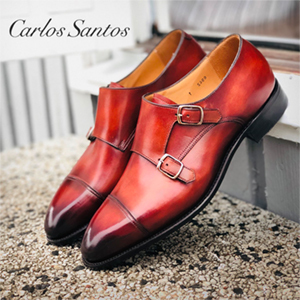 I am now the proud owner of 4 Carlos Santos Shoes and could not be more happy with my choice. That alone should say enough due to the sheer amount of excellent Brands out there. So as always, sit tight, grab a cup of coffee and let’s review some shoes!